A plastic sheet lies on a metal ring measuring 90 cm in circumference, which lies on the floor of a dark room. Fastened to the ceiling is a container. Approximately, every second, a drop of water falls from the container onto a circular surface, so that a pool of water gradually forms. 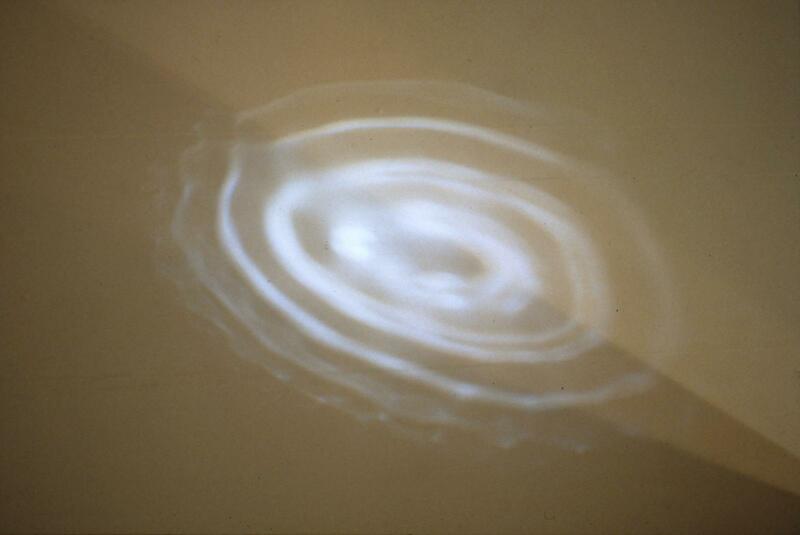 A spotlight also mounted on the ceiling beams a round spot onto the water. The dripping causes movement on the surface on the water. 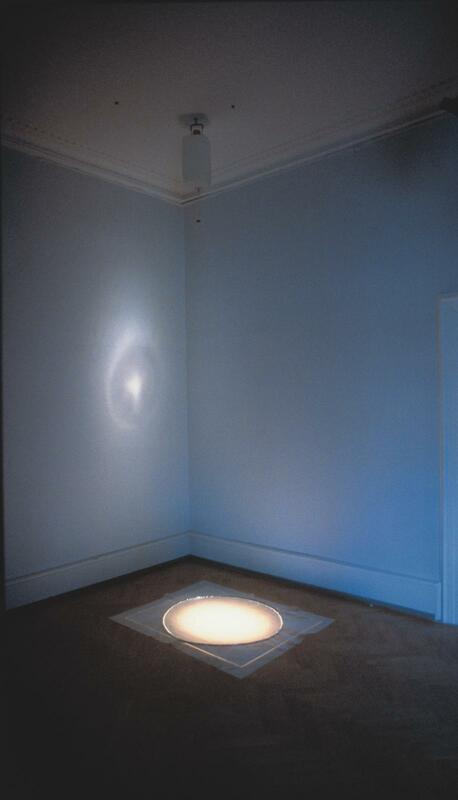 The movement is reflected on the wall of the room, creating an illuminated vibration.